As a family-owned company, we place a high value on customer service and want to delight all our customers. To help you visualize the possibilities, we invite you to browse our site, then use our remodeling consultation form to tell us about your project. Or visit us and talk to our designers and friendly staff. Our Houston and Katy, TX showrooms include over 30 kitchen, bath, cabinet and flooring displays which feature styles ranging from traditional to contemporary and transitional, all offered within a flexible budget. At CBMCI, we have made it our mission to provide the absolute best products and services for our customers. 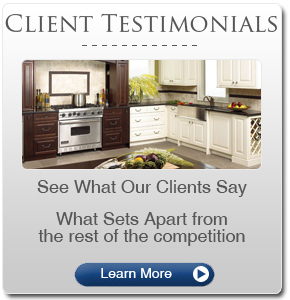 We are well known for our experienced and qualified kitchen and bath design professionals and our skilled installers. We will produce innovative kitchen and bath designs that are functional, great looking and most important, a design that fits your budget. With an emphasis upon clear and ongoing communication, we strive to give you peace of mind, knowing that your project is being managed by experienced and committed professionals. Visit our showroom and let our professional design team guide you through the process of designing and planning your kitchen and bath from concept to completion. Our team of dedicated local – Houston kitchen designers will work hand-in-hand with you to create a kitchen that looks and functions the way you want. Big or small, our designers will help turn your vision into a reality. Most general contractors are only going to provide you a written list of basic items and services for you to interpret, but how can you make a design decision based on that? Don’t get stuck hoping it will look good. At Craig Baker Marble Co, our experienced design team will work with you to create living spaces that emphasize both appearance and function. Ask us about our full service design packages, and let us tell you how accurate floor plans and 3D renderings can make your project a success. 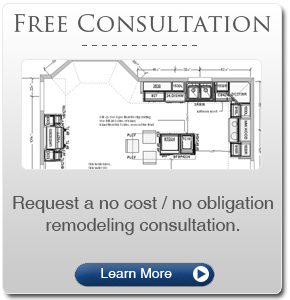 Click Here to Request a FREE Kitchen or Bath Remodeling Consultation. Check out our work! Try and find the seams! Kitchen and Bath Remodeling Houston : Kitchen Remodeling – How Much? 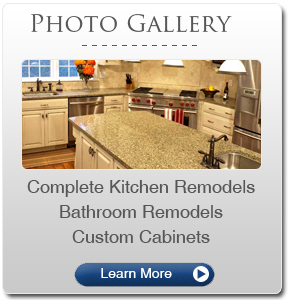 Kitchen and Bath Remodeling Houston : Your Kitchen – Remodel or Update? Kitchen and Bath Remodeling Houston : Remodeling Your Kitchen or Bathroom – Will it Pay Off When You Sell? When one speaks of home improvement or construction in Houston, TX, people often relate it to bath and kitchen remodeling. This is always the case since both areas are frequently used in the house thus the need to exert more effort in keeping them attractive. So what should you do to improve the appearance of your kitchen or bathroom? Let’s start with bathroom remodeling in Houston, TX. According to a contracting firm in Houston, traditional designs have been “in demand” these days because homeowners prefer the rustic appeal of wood and other natural elements to go with it. Traditional designs that are in vogue today are wood cabinets and flooring, natural stone floors and countertops. Before executing a kitchen or bathroom remodel in Houston area, companies provide their clients a wide array of traditional designs so they can choose which is most appropriate for their bathroom style. A traditional bathroom design is something that is simple but not necessarily old. What’s good about rustic bathroom fixtures and flooring is the fact that they fuse elegance and simplicity. Meanwhile, if you think traditional designs only serve the aesthetic aspect of one’s home, you have to start looking at the bigger picture. You can express your individuality and achieve the look of your dream bathroom at the same time by personalizing the color, textures and designs integrated into it. There are plenty of ways to squeeze your creative juices into decorating the room. Displaying personal stuff like picture frames and collectibles can say a lot about the owner of the house. If you’re an avid collector, why don’t you fill in antique bowls with pretty toiletries such as soaps, jelly and bath salts?Let’s tackle kitchen remodeling in Houston now. A lot of homeowners are spending almost 30 to 40 thousand dollars to remodel their kitchen, but neglect the problems in the basement and plumbing fixtures. First of all, it’s is important to keep the kitchen’s structure in shape before upgrading the entire design. A much simple and relatively inexpensive kitchen can be yours after you spring new curtains, put a fresh coat of paint, bring in new appliance and new flooring. Congratulations! Your new kitchen look will give you more reasons to smile whenever you’re whipping up a new recipe. Aside from bathrooms, kitchens can also be personalized. Most kitchens built today are open to a family room or attached to the family area at one end of the room. An attached or semi-attached breakfast room is also a popular design. 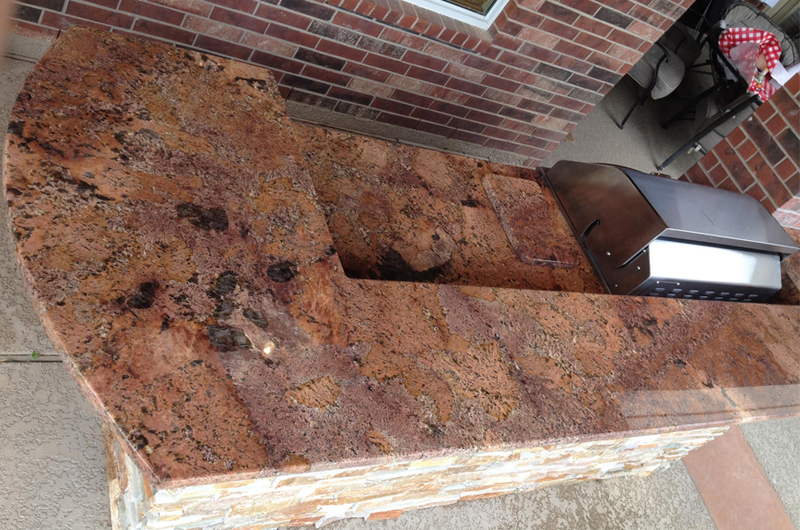 The island design is functional for food preparation and provides a place for people to sit and talk to the cook. If your home is older and your kitchen just needs a little modernizing, you will certainly want to consider modernizing your cabinets, and, perhaps, your counter tops. Raised-panel cabinet and cupboard doors are certainly the way to go. This can be accomplished by simply placing new doors on existing wood cabinets. If your budget permits, you can even install custom or semi-custom wood cabinets. While laminate countertops are certainly still being used, there is a clear trend toward marble or granite countertops.